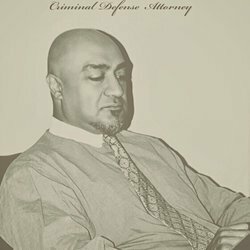 Attorney Ray Dinari has over 25 years of experience as a DUI Defense Attorney in Brea defending individuals charged with drunk driving. The Law Office of Ray Dinari offers powerful legal defense skills in exploring every facet of a case, working to protect clients’ rights in court, as well as their driving privileges. In the state of California, it is illegal to drive a vehicle with a Blood Alcohol Concentration (BAC) level of 0.08 or higher. Those caught driving with BAC levels that surpass this number are charged with DUI, which can lead to serious penalties. In one evening, your whole life can drastically change. Immediately you are facing a court appearance, a uphill battle to save your suspended driver’s license and the embarrassment and shame that goes with being accused of a crime. If you are accused of DUI, you need to speak with DUI Defense Attorney in Brea Ray Dinari. During our 25 years of experience, The Law Office of Ray Dinari has handled thousands of cases, including those involving DUI. Unfortunately, a DUI arrest usually is accompanied with other family and personal issues, and it may seem a bit too much at times. Being convicted of a DUI is a serious situation, as you face the possibility of time in jail, the suspension of your driving privileges, and a mark on your permanent criminal record. At Dinari Law our approach is different. Our experience as a DUI Defense advicate can give you the right advice from the start of your case. DUI Defense Attorney in Brea Ray Dinari can help you answer critical questions. The Law Office of Ray Dinari has successfully represented clients who have admitted they had been drinking, have had serious accidents and had open containers of alcohol in their car. For a strong voice in court, contact the Law Office of Ray Dinari. We are the DUI Defense Attorney in Brea who offers skilled handling of drunk driving charges.